When 28-year-old Henry Gray first published his anatomy book in 1858, his goal was humble; that is, to create an affordable quick reference and teaching aid for surgeons and medical students alike. It is doubtful that he could have envisioned what his book would become 38 editions and 147 years later. It is now the gold standard for anatomists and clinicians alike, and the words “Gray’s anatomy” have worked their way into popular culture. Recently, there was a 1997 monologue film called Gray’s anatomy staring Spalding Gray, who was raised as a Christian Scientist. Gray goes around New York seeking homeopathic treatment for macular puckering. Now there is the American Broadcasting Company’s new hit titled Grey’s anatomy, which concerns the life of Meredith Grey, a woman who struggles to survive the competitive atmosphere of her surgical internship. It is safe to say that “Gray’s anatomy” has become a household name associated with the medical profession. This 39th edition of Gray’s Anatomy has added many new features to the now 10-year-old 38th edition. Susan Standring, professor of experimental neurobiology at King’s College in London and the new Editor-in-chief of the book, along with her team of 85 editors/contributors (including 8 radiologists) have added new material to this book, including 400 new illustrations, more clinical information, and an increasing emphasis on new imaging modalities. Added also are 2 compact discs (CDs). One CD features anatomy quizzes and 9 layered anatomical images that can be rotated 360°. The other CD contains the book’s 2000 images exportable to PowerPoint, which could be very useful in developing educational material. An optional and constantly updated online e-dition is available for $60 more. The authors have reformatted the book so that it is organized by regions of the body rather than being strictly organ based. This approach can assist the clinician by using the book in a manner parallel to the way he or she would approach a patient. What is immediately striking to any neuroradiologist looking at this book for the first time is that the cover emphasizes the critical role that MR imaging now has in all medicine. The cover shows a coronal T1-weighted MR image superimposed on a view of the upper back of a man. For those of you who have not perused Gray’s Anatomy, is not just plain old anatomy. It gives detailed stand-alone chapters of embryology and integrates a very healthy amount of histology, physiology, and pathology. It also starts off with a 225-page introduction, which is a good primer on, and quick review of, cell structure and function, tissues, and overall systems. The second section (213 pages) is on neuroanatomy, which includes chapters on the autonomic nervous system, neuroembryology, meninges, CSF and the ventricular system, vasculature of the brain, spinal cord, brain stem, cerebellum, diencephalon, cerebral hemispheres, basal ganglia, and special senses. The third section (286 pages), which concerns head and neck anatomy, is organized, integrated, detailed, properly illustrated, and well written. It continues with a short 73-page section on the back and vertebral column and continues on the extremities, thorax, abdomen (with good microanatomical correlation and endoscopic pictures), and pelvis. Although one would expect the 39th edition of any book to be almost flawless, the 1500 pages invite the forces of entropy to emerge. Errors abound. A coronal MR image through the body of the lateral ventricles is labeled as an axial image at the level of the anterior horn (page 289). The common clinical convention of left and right is reversed in one figure, leaving the viewer of one functional MR image to think that the ipsilateral motor cortex and the contralateral cerebellar hemisphere are responsible for hand movements (page 367). The characteristics of Parkinson’s disease are mistakenly written as akinesia, muscular rigidity, and tremor (page 428) whereas they are now commonly considered in fact to be bradykinesia, postural instability, muscle stiffness, and resting tremor. There is also an axial T2-weighted MR image of a thyroid gland whose legend claims that it demonstrates “high vascularity” but in which vascular flow-voids are absent. In many figures in the musculoskeletal section (eg, on page 1440), there are arrows without labels, leaving the reader unable to match the legends with the arrows in the figures. In a neurologic CT called “normal” there is an apparent hypointensity of the anterior limb of the internal capsule, probably representing an old lacunar infarct. Unacceptable artifacts present on this CT scan (page 385), chosen to illustrate a calcified pineal gland, make one wonder why, for such a prestigious publication like this, care was not taken to select high-quality images. The index, which is a key element of any reference text, was also found wanting. For example, the index indicates that there is a figure showing the indusium griseum, but the figure on page 412 has no labeling of that structure. There are also more than a few subjective flaws in this book. Foremost, at 1500 pages and $229 (including the e-dition), this book is no longer the quick and inexpensive reference that Henry Gray envisioned. Too often the reader gets bogged down in details, which take the place of many clinically useful facts. For example, four and a half pages are dedicated to obliterated cardiac veins, but the text includes a far less exhaustive description of the Tetrology of Fallot. The book’s length also precludes it from being a good reference for specialists like neuroradiologists. The neuroanatomy section is 213 pages long; however, there are more than 60 pages on CNS development with interesting but less vital information than that which could have been included. While its length might put it in the precarious place of being too long for medical students and too short for specialists, it might have a good niche for general radiologists. Over the years, Gray’s Anatomy has included many illustrations of the same anatomical structures using many similar pictures where only one would have sufficed. On the other hand, there are instances where a picture would have been useful to envision the written description. Special attention should be paid to this in future editions. 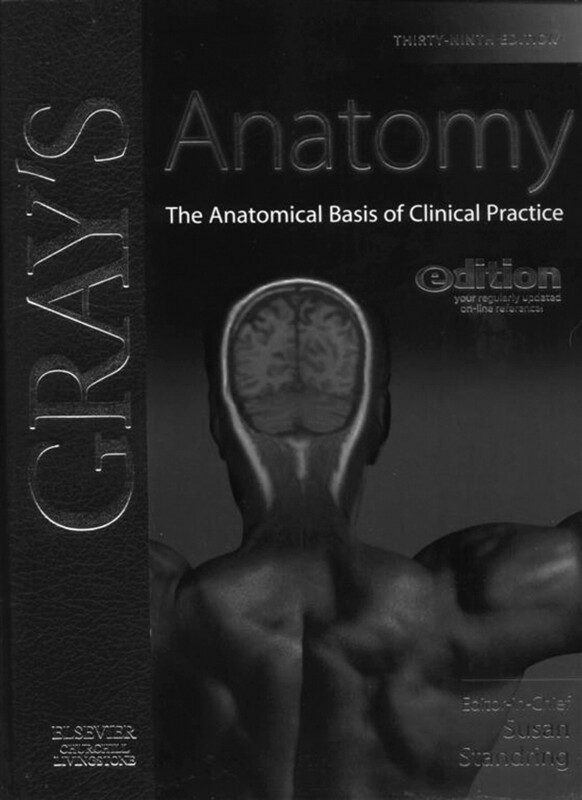 It is difficult for a reviewer to find fault with an icon such as Gray’s Anatomy, but any potential buyer should be aware of flaws in this edition. Neuroradiologists would be better served by spending an equivalent amount of money on books devoted solely to the anatomy, physiology, and imaging of the central nervous system.